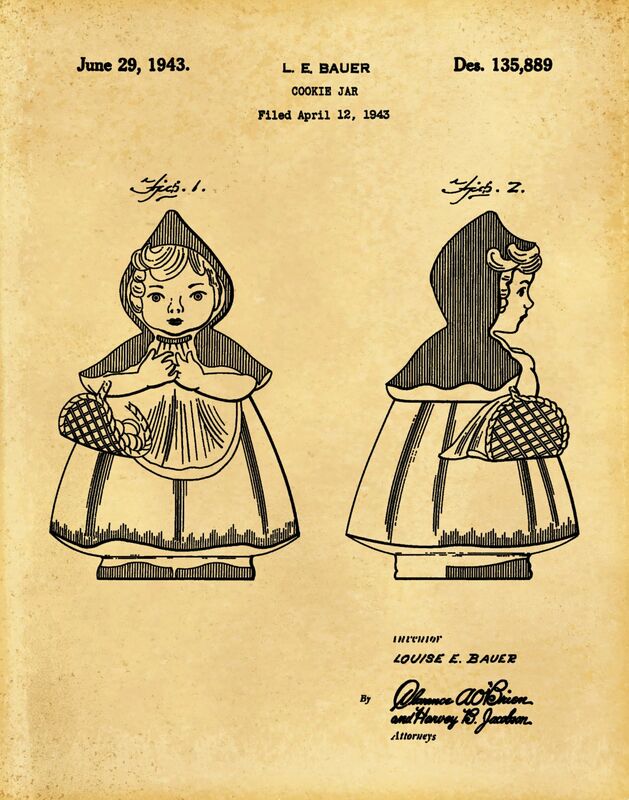 1943 Red Riding Hood Cookie Jar Patent Designed for Hull Pottery Company by Louise Bauer of Crooksville, Ohio. 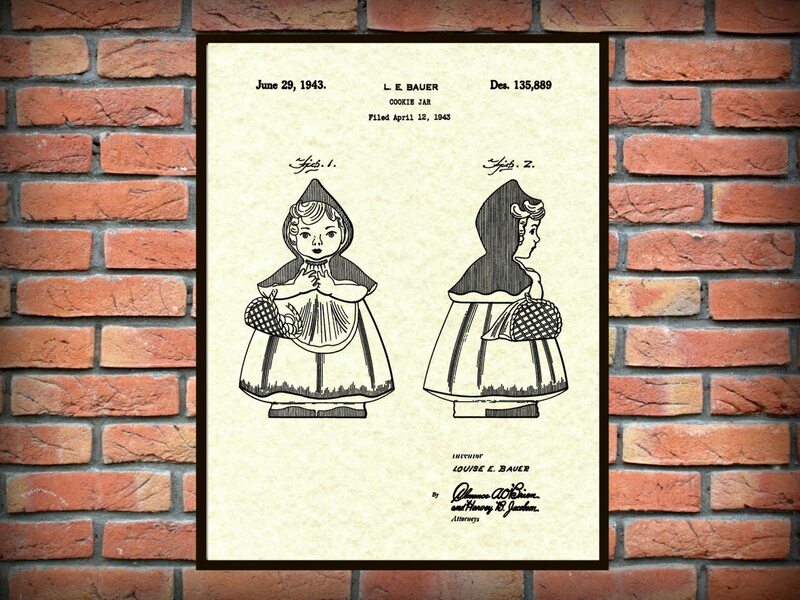 The patent was issued by the United States Patent Office on June 29, 1943. 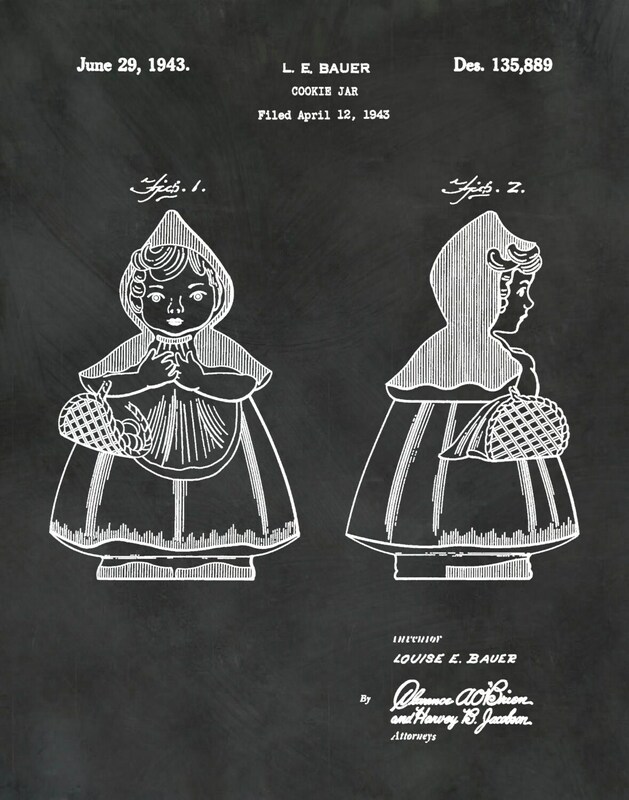 This cookie jar is on of the list of the "most collectible cookie jars of the 20th century". 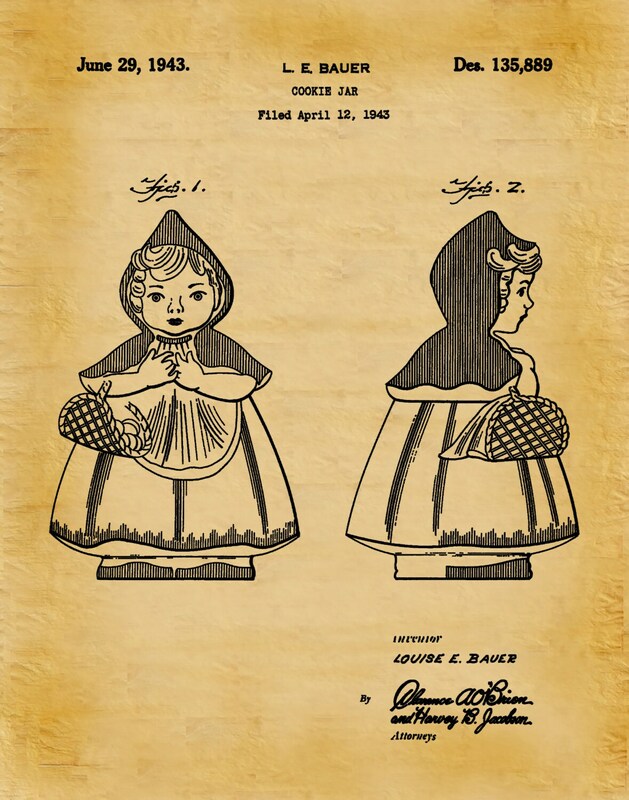 There have been several variations of this cookie jar such as "open or closed basket" or floral prints on the skirt. 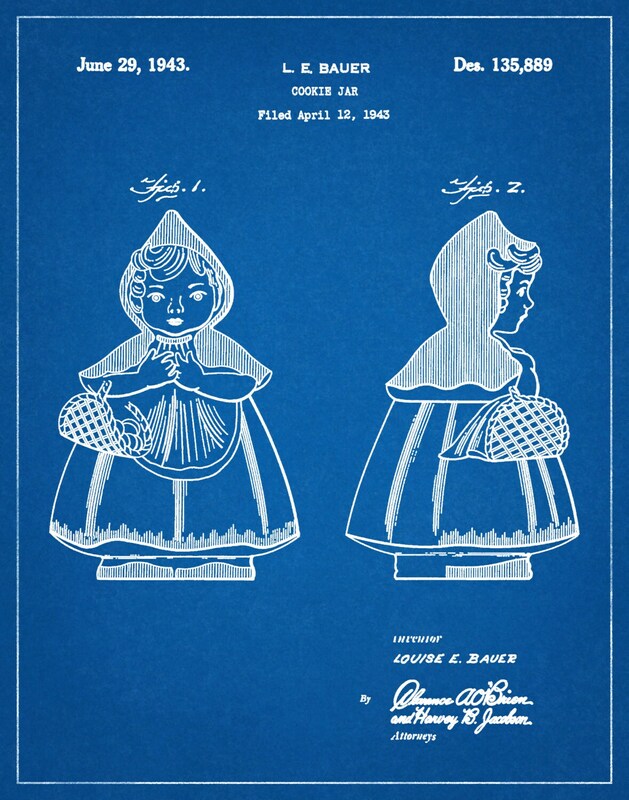 I actually have one of these cookie jars on my counter that originally belonged to my mother, so it was very cool to find the original design patent. Print is Cute. Will be framed and enjoyed. Arrived timely and as described.